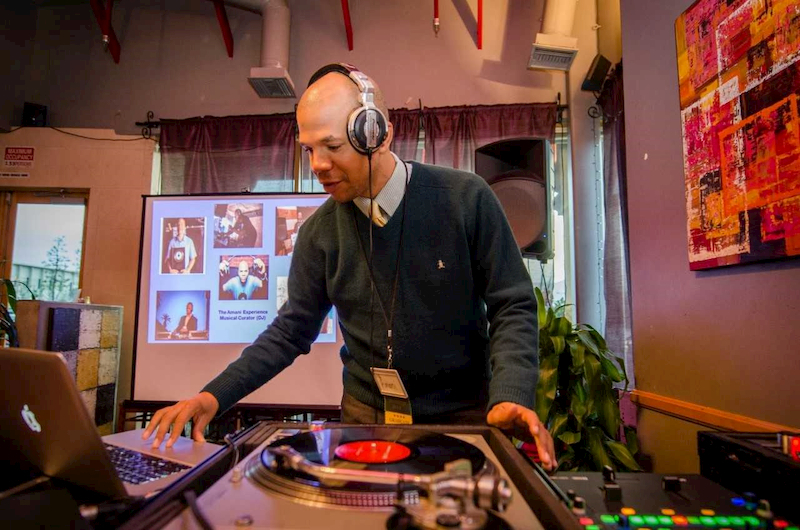 More than a decade later, with approximately 20 rewarding years as a Marriott executive under his belt, and after relocating to the Los Angeles area, Roberts reawakened his DJ dreams. He taught himself the tools and tricks of the trade and launched his own business, Redondo Beach-based The Amani Experience, to provide DJ services at bars, clubs and private parties. 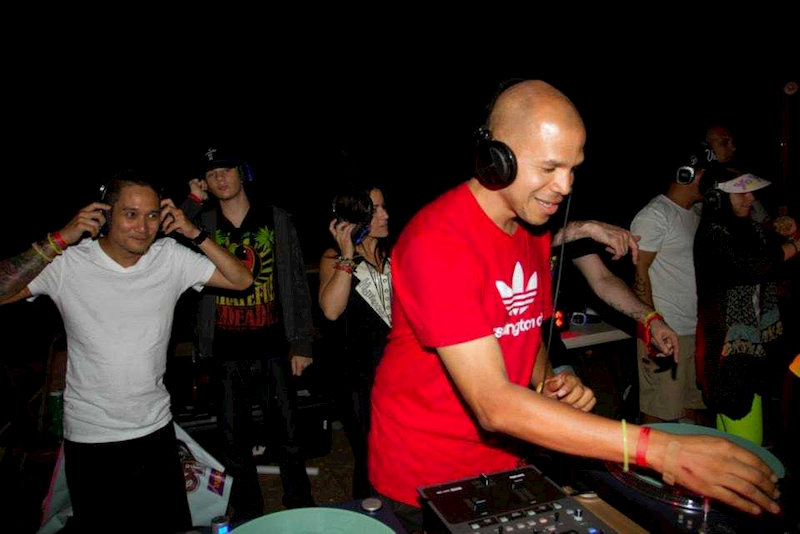 Today, The Amani Experience, which has five artists in addition to Roberts, not only provides DJ services at corporate and social events around the world, but also offers personal and group lessons on the craft, providing an interactive experience and preparation in creating original music and remixes as well as the art of engaging crowds with the music. While being a DJ might be a fun business, the work can be challenging. Success is based on a progression of knowledge that sets the artist apart. What would Roberts play at Cal State Fullerton? Based on what the lecturer hears from students in his BUAD 360 – Entertainment Money Management course, he says that hip hop, heavy Latin music and a little pop/k-pop might be a good fit. Connecting with students is always giving Roberts new knowledge about upcoming youth tastes. “The students tell me about musicians and artists, and I have to research because I don’t know it all,” he says. In the uncertain world of the entertainment industry, having backup paths to earn revenue is essential. “For me, I DJ events, teach people how to DJ and produce music. You have to do many things to play into the pie of the money you make. You’ll have to do other things to pay the bills, but they can be related,” says Roberts. Spring 2019 is Roberts’ second semester of teaching at Cal State Fullerton’s Mihaylo College of Business and Economics, in which he instructs BUAD 360, a course focused on how various segments of the entertainment industry – such as hotels, casinos, music, film and theme parks – make money and the careers in each of these segments. Roberts’ connections with the university stem from his involvement in Meeting Professionals International (MPI), an international association for event planners and suppliers. “We would come here as part of the Southern California chapter to speak to students about career options and joining us, because students need to join professional associations early on to have a support system for jobs and connections when they graduate,” says Roberts. Connecting with Ellen Kim, associate professor of management and director of the Center for Entertainment and Hospitality Management, Roberts was informed of an opening to teach the entertainment financial course previously instructed by retiring lecturer and former director Kim Tarantino. As an instructor, Roberts makes sure students have the resources they need to advance in the field through practical instruction and networking opportunities with industry professionals. In the course of a semester, Roberts will bring in six to seven guest speakers, who will present for about an hour of the nearly three-hour long weekly class sessions. 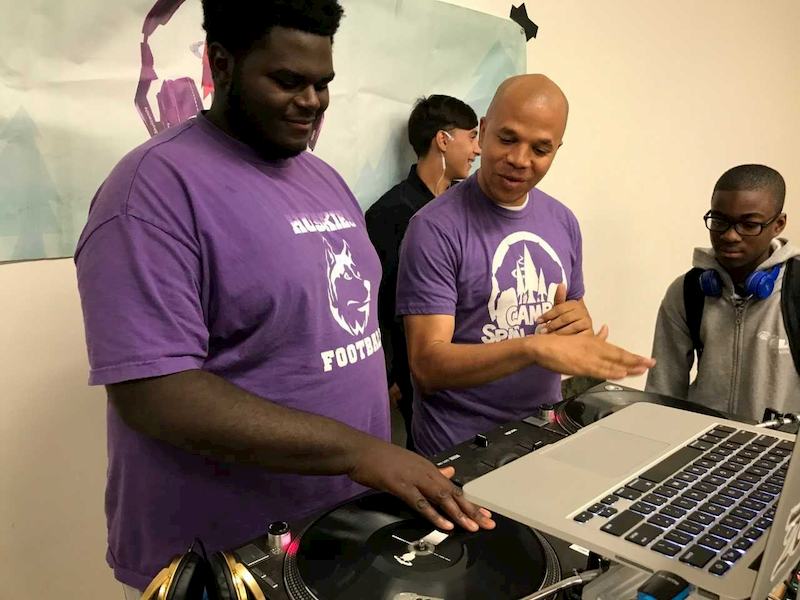 Roberts is expanding his outreach to Cal State Fullerton students through a faculty advisory role with the Music Industry Club, which is open to students of all majors and provides opportunities to connect and explore the music industry. Roberts is currently working to facilitate a professionally led songwriting workshop for the club. For more on Mihaylo College’s entertainment and hospitality management academic program, please see the program description in the current catalog. For more on the Center for Entertainment and Hospitality Management and opportunities in the field, visit them online or at SGMH 5357A. Or read more of our articles on entertainment and hospitality management. Want to connect with Roberts for guest speaker opportunities in his courses? Reach out to him at amroberts@fullerton.edu.